Elizabeth I came to the throne at a time of insecurity and unrest. Rivals threatened her reign; England was a Protestant island, isolated in a sea of Catholic countries. 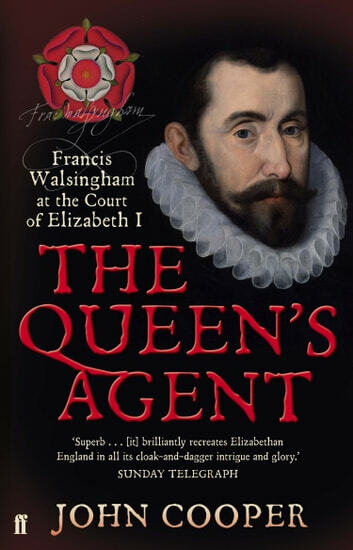 Spain plotted an invasion, but Elizabeth's Secretary, Francis Walsingham, was prepared to do whatever it took to protect her. He ran a network of agents in England and Europe who provided him with information about invasions or assassination plots. He recruited likely young men and 'turned' others. He encourage Elizabeth to make war against the Catholic Irish rebels, with extreme brutality and oversaw the execution of Mary Queen of Scots. 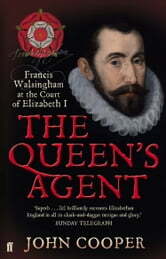 The Queen's Agent is a story of secret agents, cryptic codes and ingenious plots, set in a turbulent period of England's history. It is also the story of a man devoted to his queen, sacrificing his every waking hour to save the threatened English state. A very interesting and informative book. I found it very good , since I knew no details of the subject's life previously .